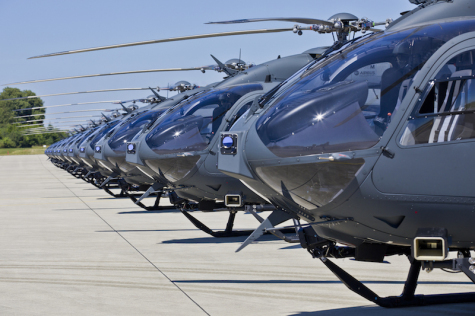 TAUFKIRCHEN, Germany --- At the end of 2018, Hensoldt and Airbus Helicopters signed a framework agreement for the delivery of the Airborne Missile Protection System (AMPS). Initially, the agreement will have a term of ten years without any minimum purchase requirement being set. Now the first order has already been placed. Hensoldt is a global pioneer of technology and innovation in the area of defence and security electronics. The company is a market leader in civilian and military sensor solutions. It develops new products to counter a wide variety of threats based on disruptive concepts in such fields as big data, robotics and cyber security. With a workforce of some 4,300 employees, Hensoldt generates revenues of about 1 billion euros per year.